Every woman's beauty comes from self-confidence with a simple and elegant poise. BM Dermalogist “10 in 1 Magic Stem Cell Diamond CC Cream” - the great beauty product from Beaute Mori is made by using high-tech Swiss BeuTec9○ ™ combines with Malus Domestica Fruit Cell Culture Extract and Argania Spinosa Sprout Cell Extract, it is a CC cream that functioning for skin care and skin color correction. The whitening effect of CC Cream is not only for whitening but also gives protection and repairing effect for skin. 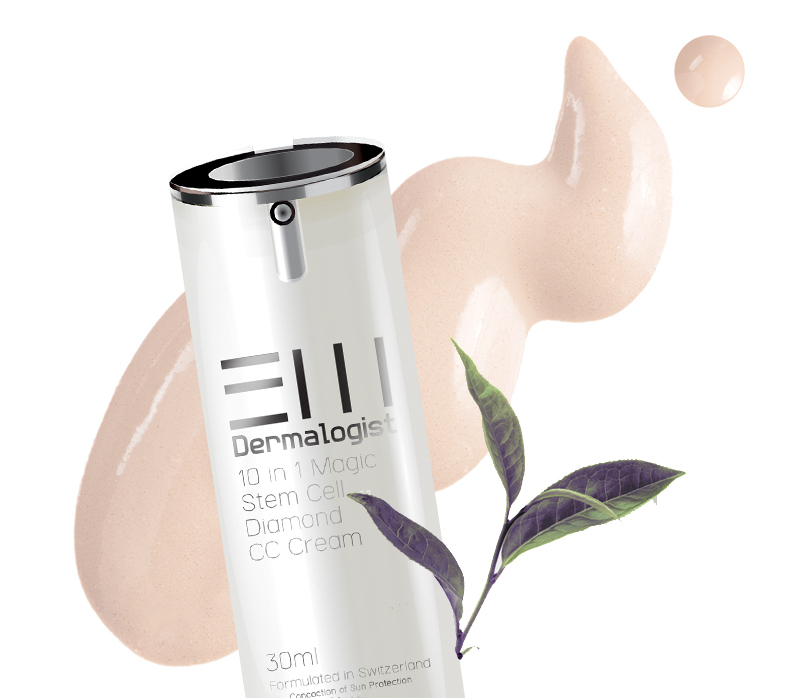 Your skin will feel moisture and whiten without any makeup feel after apply the CC cream. The FIFTH layer is magical luster layer which makes your skin look radiant and hydrated.